Jewish groups slam pro-Israel poster campaign on campus – J. 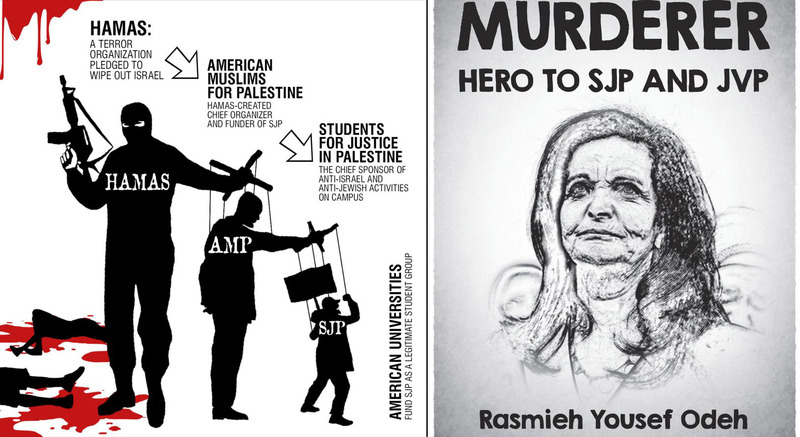 Posters accusing an individual professor and students of having ties to the Palestinian terror organization Hamas were put up around the San Francisco State University and U.C. Berkeley campuses last week, triggering immediate condemnation from campus administrators and Jewish groups. The David Horowitz Freedom Center, a conservative organization that focuses on what it considers anti-Jewish and anti-Israel bias at colleges and universities, said it had placed the posters on the campuses — echoing similar campus campaigns it has conducted, including one at UCLA last year. 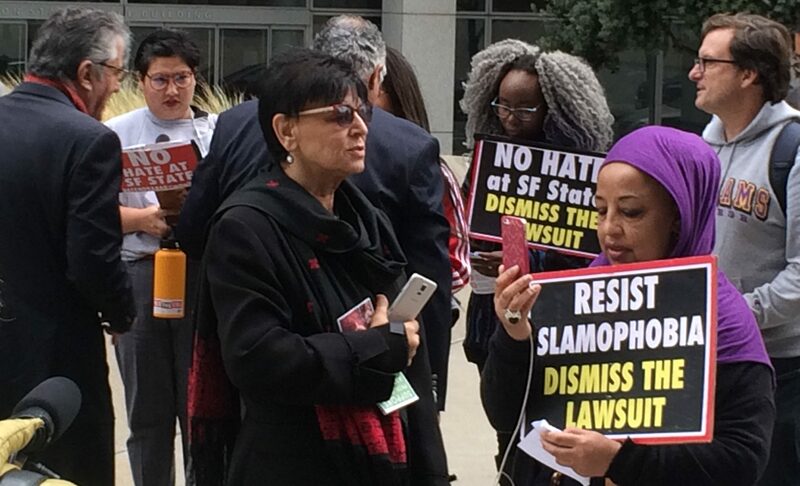 At SFSU, the posters singled out Rabab Abdulhadi, a professor of Ethnic Studies who, the poster claimed, is “a leader of the Hamas BDS campaign” and a “collaborator with terrorists.” It was accompanied by an unflattering caricature of a scowling Abdulhadi. Hamas has been on the State Department’s list of foreign terrorist organizations since 1997. BDS is the boycott, divestment and sanctions movement that seeks to isolate Israel. At U.C. 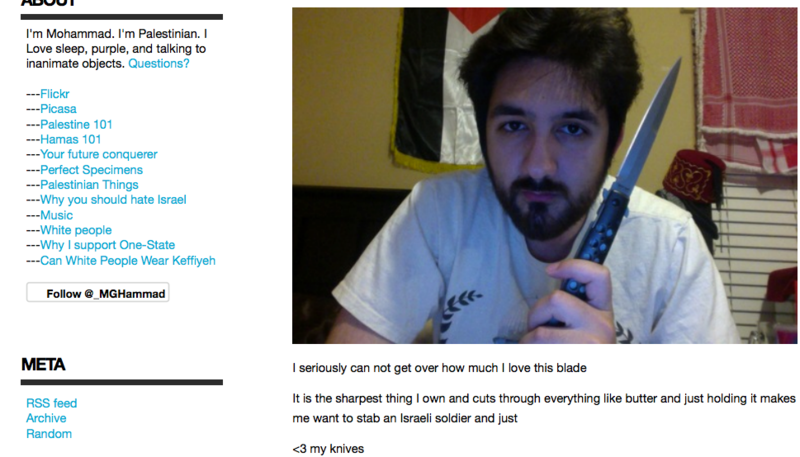 Berkeley, the posters criticized members of Students for Justice in Palestine, Cal’s largest pro-Palestinian student group, calling SJP “the chief sponsor of anti-Israel and anti-Jewish activities on campus.” It also named individual members of SJP, including David McCleary, a graduate student who is Jewish. U.C. 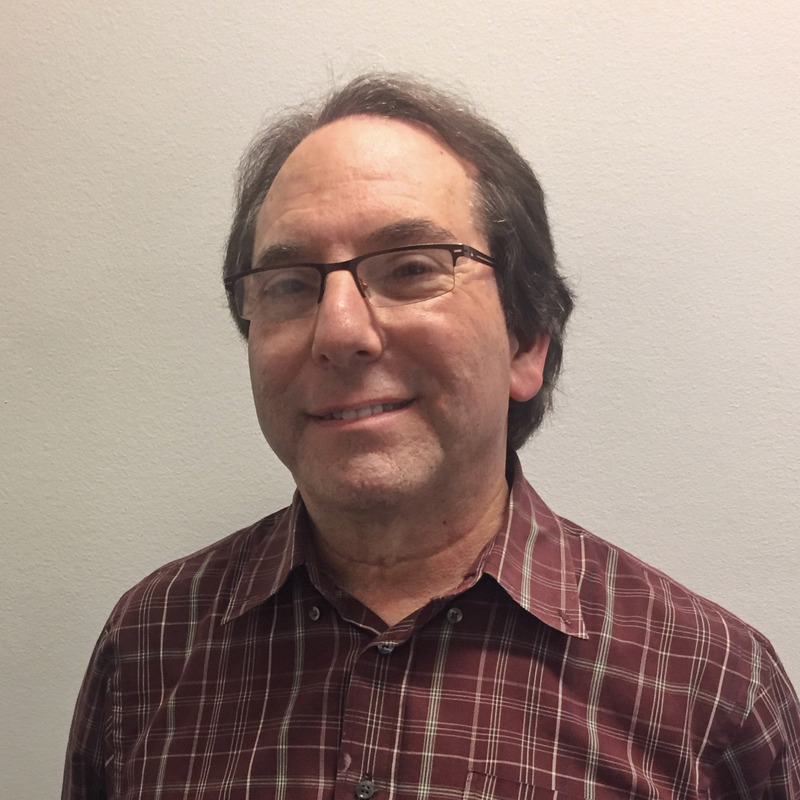 Berkeley Associate Chancellor Nils Gilman issued a letter addressed to the campus community condemning the targeting of SJP members and saying the language in the posters “violates our Principles of Community.” It ordered the posters removed. Abdulhadi, who serves as an adviser to the General Union of Palestine Students at SFSU, told the San Francisco Chronicle, “Obviously it’s really devastating to be accused of things that you have no relationship with. This is very racist, it is Islamophobic. The Los Angeles-based David Horowitz Freedom Center said in a news release that it targeted Abdulhadi because on a 2014 university-funded trip to the Middle East she met with convicted Palestinian terrorist Leila Khaled and Sheikh Raed Salah, an Israeli Arab who has called for the destruction of the Jewish state. Who is really under attack at SFSU?